SuperApex Corporation is a microwave & RF company located in the suburb of Chicago, USA. We provide the innovative solutions, products and services for our customers around the world. 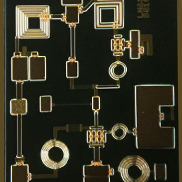 The company provides GaAs MMIC products, RF/Microwave/Millimeter-wave modules and chip packaging solutions. We have completely proprietary intellectual property rights for all the products we design and manufacture. SuperApex works with our customers from feasibility contracts through to new product introductions and supply. The company prides itself on working closely with its clients and developing long-term partnerships which offers success to all parties.